Nivea have certainly been busy! With 'effortless makeup removal' in mind the brand, who are the Official Backstage Care Partners for The Voice UK, have just recently relaunched their line of MicellAIR products. Alongside the original Skin Breathe Micellar (which I have been trailling), there are also two new products which have been released too - Oil Free Gel Make-Up Remover as well as a handy travel sized micellar water. Micellar water is my favourite thing to use to rid my face of the days makeup. It contains microscopic molecules called micelles that are hydrophilic and illpophilic. This means that they are attracted to water and fats and the combination of these together means that they are effectively drawn to any impurities on your skin, like makeup, and removes them. 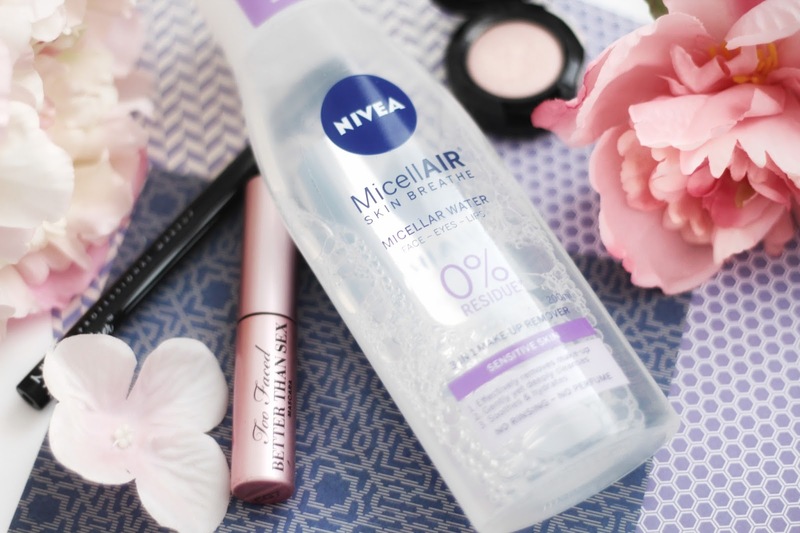 What was particularly intriguing about this new micellar water is that it claims to do the above while leaving 0% residue; the first of it's kind to do so. That is, no excess oil after use and your skin should be left feeling soft and smooth. In addition, it has been formulated with grape seed oil is designed to be really gentle and help to reduce any redness. In truth, I can vouch for the fact that this is residue free. My skin did not feel oily after use, but equally, it didn't feel dry either so it is certainly caring. That said, I didn't find this was super effective at removing my current mascara, so I might combine this with the Daily Essentials Double Effect Eye Makeup Remover for more stubborn makeup. When it comes to bath and shower products, I always want something that has a really good scent. Something pleasant or maybe a little fruity, which will make me feel shiny and fresh when I step out of the bathroom. 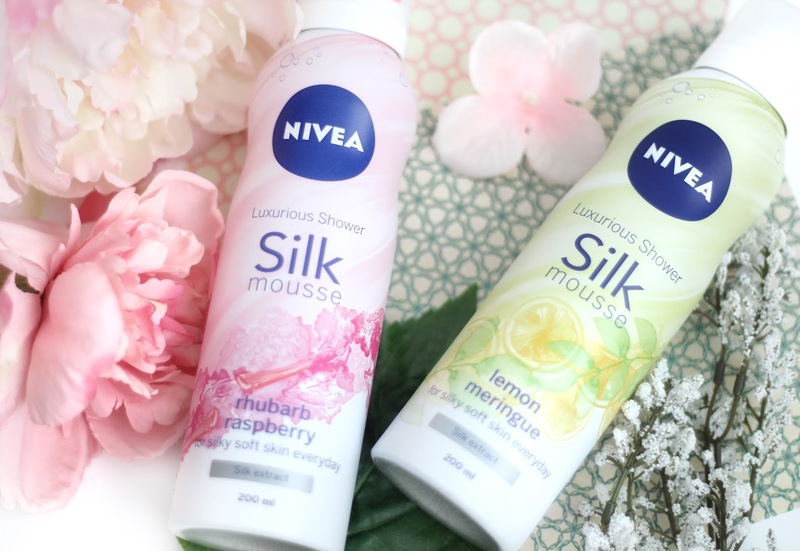 Nivea were clearly working from the same criteria that I have when whipping up the latest additions to their shower mousse collection. 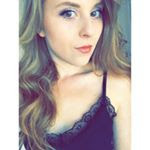 I previously reviewed the original here, which I liked, but the new ones that have been added to the range are twice as exciting. They are - wait for it - Rhubarb and Raspberry and LEMON MERINGUE. Can you tell I was just a little bit overjoyed about the last one? Formulated with Silk Extract, unsurprisingly, they leave my skin feeling quite moisturised and because they come out as a lather, they feel infinitely more indulgent. Spoiler alert, they both smell absolutely incredible and I strongly suggest you go out and purchase them for yourselves. It’s no secret that this winter seems to have lasted for about a hundred years and, as I look out the window, it appears the sun is out and (dare I say it!) spring is here. While we may be moving into sunnier climes, my skin has still been feeling the effects of the colder weather and calling for all the moisturiser. This lotion contains deep mositure serum and almond oil and has been specially formulated for dry to very dry skin, so it is perfect for skin just in need of some TLC or something more intensive. The lotion is quite thick, which may be offputting to some but in fact, I have found it to be absorbed very quickly and you are not left with that sticky feeling you can sometimes get. After use, it claims to leave your skin deeply moisturised for 48 hours and applying it daily will yield the best results. 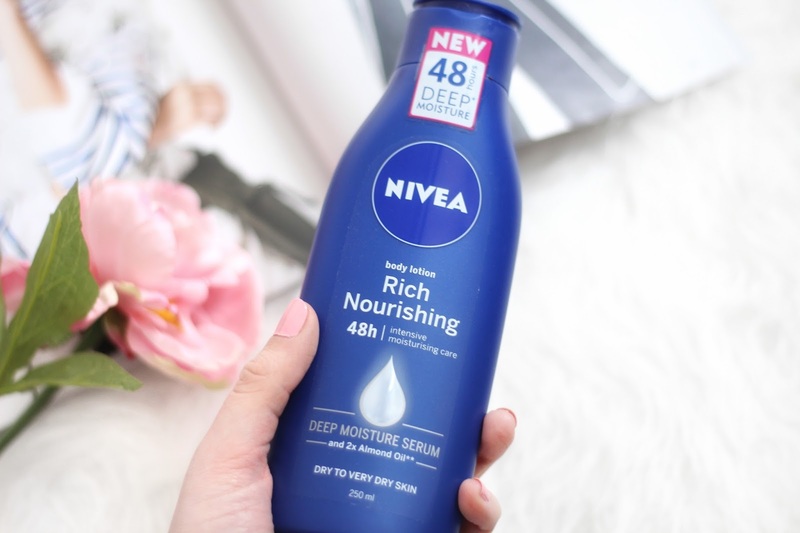 In fact, I have probably been applying this every few days and my skin is far less dry, so I think this is definitely doing what it says on the tin - or bottle to be more precise! I also have the Express Hydration lotion, so I can mix it up depending on how my skin is. Prices are correct for Superdrug, at time of publishing post.